Swap summer hols for festival fields. Take a look at the final instalment of our 2016 festival guide. When: 4th-7th August Where: Cornbury Park, Oxfordshire What: It probably won’t be smouldering hot (this is the UK, obvs) but it will still be warm enough to park rock for 4 day weekender in the countryside. Aside from the headlining rock god that is Robert Plant and his band The Sensational Space Shifters, the live music list is long and includes folk singers, brass bands, jazz and swing acts, plus our Rolla girl, Lianne La Havas. But this is more than just a party zone. There will be wild fancy dress shindigs, a croquet tournament, and theatre, talks and debates, and dance workshops. Not what you imagine when spending a weekend up north. Who said the country was boring? When: 6th August Where: Hatfield House, Hertfordshire What: The people of EE are bringing the massive European sounds heads and American heavy weights of all things house and techno. No camping just one whole day of raving. Think underground warehouse vibes but out in the open. This is the eclectic experience you want if you can’t escape the US or Europe this summer. 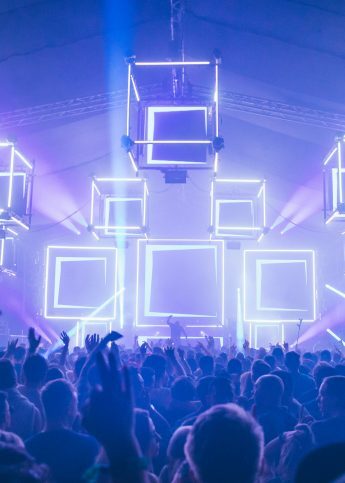 When: 11th-14th August Where: Hampshire What: Known to be the most immersive and escapist festival, the countryside grounds of Hampshire are transformed into a futuristic wonderland. With a daily capacity of 45,000, this massive event is set out over 9 individual districts that bring their own themes. There’s a range of artists playing ska, reggae, folk, and bucolic blissful delights including a magic carpet to get you around the grounds. The summer sees the start of a new section called Sector 6 that will be for the rebels. When: 20th-21st August Where: Hylands Park/ What: Popular chart royalty will be taking the stages with of the more local venue of V Fest. On Saturday the Biebz is headlining alongside SIA, Jess Glynne and our Rolla cover girl Foxes. Then on Sunday get ready to work, work, work, work and whine with Rihanna. Other acts Big Sean, Little Mix, and David Guetta, to name a few. Cramping in the mix of bands, solo artists, and DJ’s into two days means all the expected festival fun without having to travel far. This is where you want to go to hear the music of now. When: 25th-28th August Where: Fort Punta Christo, Croatia What: Ever wanted to know what it was like to party in an abandoned Roman fort? So have we. Well the guys of Dimension Festival have got you covered. Revelling in the best underground electro music, in one of the most exclusive festival settings with music lovers from around the world is something exceptional. Expect chilled out beach vibes and boat parties during the day to relax and revitalise, for when the sun sets it’s all about how long you can jump up and fist pump into the night. When: 26th-28th August Where: Richfield Avenue, Reading/Bramham Park, Leeds What: Last year’s lineup included Mumford and Sons, Metallica, and The Libertines so we’re expecting some more big names in the world of rock and roll for 2016. This year they’ve packed in five headliners, but as always, the diverse mix of up and coming rock, indie, alternative, and metal bands will offer something for everyone’s taste. We like a little Section Boyz with some Mura Musa, who doesn’t? Go see Indie’s biggest brat, Rat Boy, rile up this year’s GCSE alumnus too. When: 26th-28th August Where: Domaine National de Saint-Cloud, Paris What: A three day rock festival just outside the city for lovers? Sounds like the perfect rebellion. And the likes of Iggy Pop, Foals, Sum 41 and other new rock and indie bands will have you feeling anything but emotional. Instead, get ready for raving, nights of endless dancing and debauchery. When: 27th-28th August Where: Clapham, London What: It’s bank holiday weekend so what else is there to do but let loose at this two event that is all moving and shaking? Keeping it local, this daytime party is lead by dance music celebrating the mixture of London’s electronic music scene. With a lineup of known club DJs and a range of acts it’s all about the bass, the beats and of course, the body bumping. 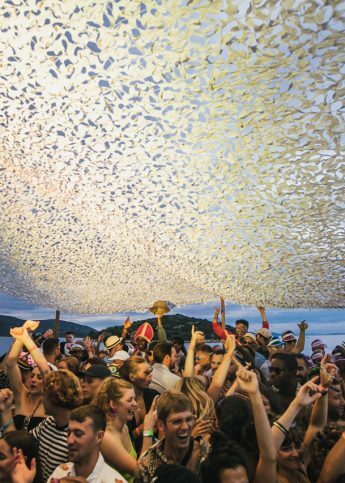 When: 31st August-4th September Where: Pula, Croatia What: European festivals can guarantee clear skies but the intriguing location of Outlook should convince you to hop on a flight. The blend of dubstep, hip-hop, grime, and reggae coming from Stormzy, Kano, Rejjie Snow, Akala – to name a few, is the perfect music for fun in the sun. Not to mention the jaw dropping views, boat excursions and beach parties – the ultimate summer vibe, right? When: 8th-11th September Where: Robin Hill, Isle of Wight What: Want to end summer with a bang? If you still have enough energy then Bestival it is! Be among the massive crowd taking in the bands and with music running up until 5am, sleep is not included. Yes the lineup features some big stars of today and a mix of genres but it’s also a place to discover new music.